How do we report questions? What is the structure of reported wh- questions? What the structure is of reported yes/no questions? Are both ‘if’ and ‘whether’ equally preferable while reporting yes/no questions? When we report a question, the question is changed into a statement. Wh- questions can be reported using reporting verb + wh- word + subject + verb. 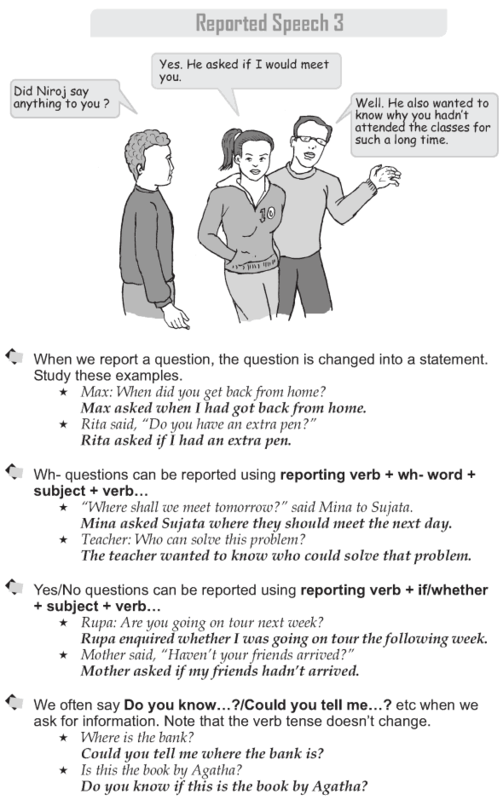 Yes/No questions can be reported using reporting verb + if/whether + subject + verb. We often say Do you know. ?/Could you tell me.? etc when we ask for information. Note that the verb tense doesn’t change.